It was a bright sunny morning, this morning, so as soon as I had my breakfast I was out the door for a walk. The footpath behind our church leads onto what we call the Hills, a series of mini ups and downs along a wide grassy area. It runs high above the River Trent as it joins the River Ouse. I have walked this path many times before, but each time I get a thrill as I marvel at the spectacular views, I never tire of it. It takes one hour to walk to Alkborough, and this is what you find when you arrive. Julians Bower, a maze cut into the turf. This was first recorded in 1697, it stands high up on a plateau. In 2007 it was closed for three months for restoration. I walked down the steep hill to the Alkborough Flats. It has been developed as part of the Environment Agency’s flood risk management strategy. In September 2006 a 20m wide breach was cut into the flood defence bank allowing up to170ha to flood during the highest tides of the year. The site is designed to act as a flood storage area in times of extreme weather, primarily during tidal surges which will reduce impacts of flooding along the Trent, Ouse and Humber. I had a chat with the two people that had been using it. 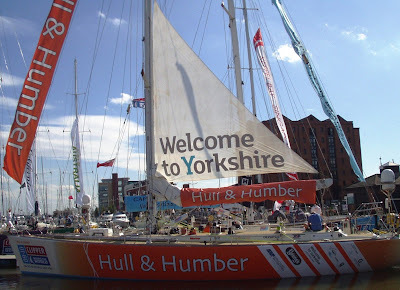 The young lady was working for Hull University and they had hired the craft from a company a few miles up the river in Barrow on Humber. The reason why they were away so long was because she has to take hundreds of samples from the mud, so there is a lot of stopping and starting. After their lunch break they were going to go out again, but I didn't wait around, it was getting a bit chilly. I took a few photo's of the flora and fauna. On the way back I stopped to chat to a couple who were sitting on the bench at the maze. 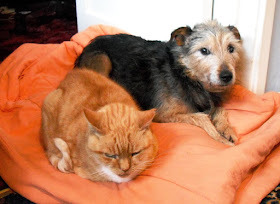 They were on holiday at the caravan site, so I was able to suggest places for them to visit. Then half way back I came across five men who were sitting on their fold up chairs, flying their radio controlled model aircraft over the edge of the steep bank. They were very friendly answering all my questions, no one would let me have a go though. Boys and their toys, ha ha. What an interesting walk, you never know what you are going to find, it was a bonus to see the hovercraft. I was out for six hours, completely missed lunch. I got my free coffee and biscuits yesterday at Blood Donors, I reckon it was a fair exchange. They decided they could take some this time as my iron level was high enough, maybe that was because I had some broccoli for my dinner the night before. Normally I don't feel any different after they have removed nearly an armful, but last night I felt so tired. This morning I had to sit and rest because I was still tired, so I read a book for an hour in the arm chair, then fell asleep. This is very unlike me as I usually have bags of energy. I am wondering if I should carry on donating blood, but my next appointment is not untill March so I have plenty of time to think about it. I might ring them up and ask about it. This afternoon two men came to wire in the electrics to my new boiler. The timer box is in the airing cupboard above the hot water tank, and the thermostat is on the wall in the hallway. The young man explained how it all works, but I am still going to have to study the instruction booklet, it seems very complicated. I shall be too scared to put it on, after hearing some of the horror stories of the enornous bills that people get. There's no way I am going to pay that much. I shall try and keep my quarterly gas and electric bills down to less than £40 each in the winter, and less than £30 in the summer. I can see I'm going to be testing my will power this winter. As a few people commented on my four matching bags post, I thought I would show you how to fuse the plastic to make the panel which is sewn on the front. First of all I cut six pieces of red plastic from an M & S carrier bag, this is going to be used for the letters. Sandwich them between two sheets of baking paper, you can use greaseproof paper, it doesn't matter if they are a bit creased. Then iron them with a medium to hot iron. I use a piece of hardboard to protect the table. It is best to be in a well ventilated room while you do this, open the window and door. Use circular motions with the iron, turn it over and iron both sides. Check to see that all layers have stuck together, and peel the paper off while it is still hot. It will go a bit wrinkly but that doesn't matter. Then I traced the letters I wanted from an embroidery magazine, onto the baking paper, and transferred them onto the plastic with a pencil and cut them out. Next cut eight pieces of plain plastic, I used a charity bag, slightly bigger than the panel size I wanted. Arrange your bits of decoration and cover the whole thing with a piece of clear plastic. Don't forget the paper top and bottom before you iron, you will end up with a piece like this, after you have trimmed the edges. 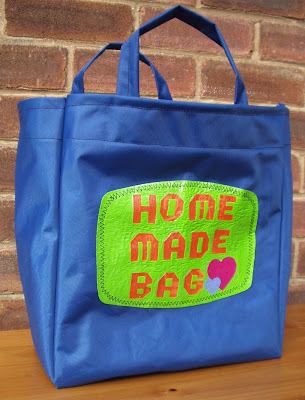 Save all your plastic bags, they come in usefull for cutting the pieces for your design, you can really go to town and personalise it. The more colours you have the better. You can also make up several of these panels and sew them together, it gives you a very strong piece which you can make into a bag. I got back lateish last night from the wedding in Nuneaton on Friday, managed to make it into a two day jolly. The bride and groom, Adam and Gemma, looked lovely, here is a photo I took outside in the park. It is not as sharp as it should be as there was a bit of a jostle for places, and they were both having fun so it was difficult to snap them at the exact moment for a perfect picture. After the service we all walked to Adam's favourite hostelry, The Jail House, for a meal and entertainment, then we went on to the Conservative Club where more guests arrived for the evening disco. At this point I was very pleased that I had dressed sensibly, in black trousers, soft little boots, flowery top, and a jacket, all from charity shops except the trousers which I have had for years. The walk to the club was a bit chilly for some, but I was ok. A lot of the ladies were tottering around in high heels and suffering the consequences of sore feet. My feet were lovely however, as I threw myself around the dance floor to Sweet Soul Music, the moment that starts I just have to get up. I gave up dressing for fashion years ago, now I dress for me, and my style is comfortable. After an overnight stay at my sister's house in Burton upon Trent, she wasn't there and her bed is lovely and comfortable, I had a look round the town. This is where I grew up so I was keen to see some of the changes, some of them good some not so good. The traffic seems to have increased tenfold, there are two bridges to cross the River Trent so I decided to cross it early because later it was going to become almost gridlocked. I parked a short distance away and walked into town. I had to have a stroll over the long foot bridge which goes from the back of the market place, over the washlands to Stapenhill Gardens on the other side of the river. This area flooded regularly when the river burst it's banks. It used to be just wild rough ground, now it has footpaths criss crossing it has been turned into a lovely country park. This is the sign in the ironwork half way along the bridge. This is the point where the bridge crosses the river. I had a loaf of bread which I fed to the swans and geese, it took all of three seconds for it to be demolished, then I made a hasty retreat as the word got around that there was food, and another fifty thousand birds appeared. Maybe I should have bought a pallet load for them, ha ha. I remember playing in the Stapenhill Gardens when I was a child, mum would bring us on the bus, we loved it there. The flower beds had little footpaths and steps between them which we merrily ran up and down. It's nice to see that the council are keeping things tidy, although there are no flowers at present it still brings back memories. The big white swan is still there, this is also filled with flowers in the spring. As a focal point in the centre of the gardens it must have been photographed millions of times. A lot of the town is pedestrianised now, with modern shopping malls. I used to spend my Saturdays around the market when I was a teenager, spending my small wages on clothes, makeup, and magazines. The outdoor market has been downsized now, due to the economic climate, but the indoor market is still vibrant. It was a pleasure to walk round, light and airy, and clean and tidy. I even recognised some of the stall names, though I'm not sure that the original people are still running them. The old Woolies in the High Street where I worked in 1965 is now a Wetherspoons pub, my old optition is still there, Lancaster and Thorpe, and the leather shop where I worked for all of five days, Start and Tremayne, is still there. Of course over the years all the new names have moved into the town, the people in the area are well served now and don't need to go to nearby Derby like they used to. The rest of the day was taken up with visiting my uncle Stan, he is a lively gentleman of 86 years young, his wife Pat cooked us up a lovely lunch. From there I visited my lady lorry driving friend, Paddy and her husband Joe, at Melbourne just outside Derby. It was good to see her, and talk about the old days of trucking. Paddy was 73 last week and she is still driving her 44 tonner. As she was late starting her driving career, 50 something, she still has diesel in her veins, although she admitted that the job has changed and it isn't as good as it used to be. I tried to persuade her to retire, and go off touring in their motorhome, one day she might just do that. I have found an interview that Paddy did with the late John Peel for Home Truths on Radio 4, six years ago. She talks about retiring then. Click to see photo's and listen. I love catching up with old friends, we have many people who come and go in our lives, but only a few who stay forever. Value your true friends and don't lose them. I don't get many emails, except the junky ones which all go straight into the trash bin, but today I had a nice surprise. I am on the mailing list for free tickets from SRO Audiences, for television programmes being filmed in various studios around the country. I have applied before but never received anything, most of them are filmed in London which is too far to go. But today I have a Priority E-ticket to go and see Justin Lee Collins hosting a game show called Heads or Tails, on Tuesday 13th October, at the Granada Television Studios in Manchester. I'm really chuffed, it will be interesting to see what goes on behind the cameras, the bit that doesn't get screened. There are a lot of rules and regulations to keep to, I won't be able to take photo's, and I have to wear something colourful. It says the audience is a very important part of the show, we have to come ready to enjoy our visit, but we have got help them to facilitate this by following the directions and instructions that the staff may give us. Does that mean we have to leap up and down clapping like demented seals at feeding time, when instructed to do so? When I have occasionally caught bits of these game show type programmes I always wondered what the audience have been taking to cause such hysteria, now I shall find out. I will report my experiences on here. I've got a wedding to go to on Friday, my nephew Adam and his girlfriend Gemma are tying the knot. I thought they might appreciate a home made card as they are both into saving money, and not wasting it. This is what I have come up with. The colours haven't come out too well because of the flash. It's a white card with a roughly cut piece of red fine netting over it. The heart is from and old card, I have covered it with clear sticky back plastic to strengthen it, and stitched it on with running stitch in yellow embroidery thread. The picture is a couple of love birds dressed in their Sunday best. Each letter is cut out seperately, from a roll of gold sticky backed foil, and stuck onto some shiny red card to give them a red border. Then they are stitched onto the card. The red ribbon bow is off a chocolate box, (never throw anything away), and attached with four coloured stars. I am really pleased, it looks a lot better than the photo. Inside the front you can see the stitches, all neat and tidy I might add. So to cover them up I put an insert in which I did on the computer. A few words and a picture of their new baby, held in place with yellow embroidery thread. I think they will like it, something to keep and a bit more personal than a shop bought one. Looking at all my card making bits in the cupboard, I think it's time I was getting it all out again and make a start on the Christmas cards. The veg garden is looking a bit sad, now that we are getting towards the end of the growing season. It's been a good summer for putting fresh veg on my plate, and I shall be a bit sad when it is all over and I have to go back to buying it from the supermarket. I still have some potatoes left, a few carrots and onions, four cabbages, and a few spriggs of broccoli, but the beans are all finished, and so are the courgettes. It's time for the Autumn tidy up to start I think. I don't relish the job of pulling the dead plants up and stacking them on the compost heap, but it has to be done. My tomatoes have been a long time coming but now I have them in abundance, I am eating several every day. There are a lot of green ones which will never ripen, so I'll be cutting them up, cooking them for a few minutes, and freezing them in margarine tubs. These will be handy for adding to my winter stews. I know most people make chutney but I don't like it. I've still got some huge cucumbers which are a great accompaniment for my cheese sandwiches. With a bit of luck I should be getting some brussel sprouts as the plants look strong and healthy underneath the net curtain covers. That definately did the trick with keeping the dreaded butterflies from laying their eggs all over them. I am not looking forward to the nights drawing in and limiting my time outdoors, the seasons seem to go by so fast. Remember the gazebo roof that had been dumped in a skip and I pulled it out and brought it home? Well there's loads more fabric left after I made a couple of bags with it, so I made two more. I like the handy size of the Tesco wine bags which carry six bottles, so I used one for a pattern and copied it. This is it. I didn't put the dividers inside though so it can be used for general shopping. I made the decoration on the front by fusing together plastic bags. There is six layers of green, with letters and hearts added, all sandwiched between clear plastic, and ironed. If you are going to do this be sure to put greaseproof paper top and bottom to protect your iron. Then I stitched it on with a zigzag stitch on the machine. It looks very eyecatching. Then I made another one. This is much bigger, with a similar design on the front. Here are all four of my matching bags, and there is still lots of fabric left over to make some more. I must be a glutton for punishment, I am sat with my feet on a cushion because they are extremely sore. After three days in the house I was ready for another walk. There is an Open Studios event at the Ropewalk, a contemporary arts and craft gallery in Barton on Humber, 13 miles away, I thought it would be a good idea to walk there and get the bus back. I set off at 10.50am and walked for three hours then stopped at South Ferriby for a rest and a bite to eat, my feet were already getting a bit sore then, I had done 8 miles. After changing my socks, I decided to get the bus to Barton, what a relief to sit down. There were some very interesting people to chat to at the gallery, fascinating to watch them at work. Artists painting, a young lady was weaving with a very complicated looking loom, a graphic artist was designing the cover for a book, and people were happy to explain how they made their designs. I was so busy talking I didn't notice the time, and as the sun was still shining I thought it would be a good idea to make the most of it and start walking back along the side of the river. I walked the five miles to South Ferriby, and found there was a bus due in ten minutes so I sat on the bench and waited fot it. 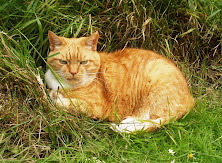 The trouble was, it didn't go into my village so I had to get off and walk the last two miles home, it was getting dark by now and to walk on a road without a footpath is a little bit crazy, I had to keep jumping onto the grass verge as yet another hothead sped by me. The last half hour was a real struggle, I wanted to collapse in a heap, then I saw the lights of my village, so head down and go for it, I got home at 8pm. I still try and walk the same distances now as I did thirty years ago, well there's no harm in setting goals is there. My poor feet feel like they are on fire, hardly surprising after 15 miles. I'm well and truly scrubbed up clean tonight, I have hot water. So what did I do? Have a bath of course, the first one since July.....2008 ha ha. Lit the candles, opened the wine, and laid back in a swirl of Peony Bath Relaxant Foam by Bronnley. My friend gave it to me last year when I came out of hospital and she very kindly invited me to have a bath at her house. At last I am able to use it again. As I laid there I felt a bit guilty, it was an awful lot of water, seemed such a waste on one person. And to send it all down the plug hole when I had finished, oh dear, should I save it for flushing the toilet or watering the garden? Maybe not this time as it's getting late, but perhaps I could bath in the daytime and scoop it out with a bucket. It seems strange turning a tap on and getting hot water. When I washed my dishes earlier, the first thing I did was to boil the kettle, then it dawned on me, old habits die hard. I'm not sure I like the idea of heating a whole tank full of water when you only need a bit in a bucket or bowl. Seems daft to store hot water, for it only to cool down and heat up again, and again, and again. Now I've got this white box on my kitchen wall, saying 'Look at me, I'm going to cost you a lot of money.' I think I might switch it off, and carry on boiling the kettle to wash the dishes. And why soak your whole body when you only want to soak your feet? I wonder if I should switch the water on once a month to have a bath, and go back to the old way of washing bits of me in the kitchen sink. All these decisions I have to make now, it was much simpler when nothing worked, no heating no hot water. Now I have to decide how cold I need to be before I put the central heating on. How much money do I want to spend, is this goodbye to my very cheap bills, will I be crying every three months when that dreaded British Gas envelope drops onto the door mat. I don't think I can cope with all this, I think I'll move into a cave. I am one step closer to having a working central heating system, not sure if I really want it, but it is free. The gas men came today to fit a new boiler, thanks to the government's concerns that I might freeze to death this winter. The lady on the phone said they would be here at 8.30, they arrived at 9.45, but I mustn't grumble. After closer inspection of suitable places to position said boiler, it was decided to ignore the first inspectors report which recomended it go in the airing cupboard in my bedroom. The kitchen wall which is an outside wall was a far better choice, logical I thought. Once the plan had been established they set to work, moving furniture, taking carpets up, pulling floorboards up, removing the gas fire in the front room and sealing off the back boiler behind it, then replacing the fire. 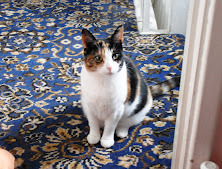 When I cleaned up afterwards I noticed that the carpet was wet, someone obviously hadn't been very carefull, but mustn't grumble. My three cats made a hasty exit when the deafening noise of the drilling started, there was dust everywhere, but mustn't grumble. The hot water tank was too big to fit in the space in the airing cupboard where the old one had come out, so at this point they stopped work to make a phone call to order another one for tomorrow. Another error by the first inspector, I can't remember seeing him measure it up, but mustn't grumble. So tomorrow they will be back to finish the job. They plan on power flushing the radiators out, that sounds fun, lots of swishing water. Hi, I feel a marathon post coming up, you might like to read it in sections. I had a fantastic mini holiday, walking in Yorkshire. I set off on Friday lunchtime and had a look round Saltaire near Bradford in the afternoon. Picturesque Saltaire is a UNESCO World Heritage Site. The village has been preserved in all it's Victorian glory. They have an Arts Festival on over ten days, and as I don't know the story of Saltaire I thought it would be a good opportunity to combine a visit with my holiday. I spent a couple of hours getting my bearings, street map in hand, and decided to visit again over the weekend because that's when most of the activities and entertainment was taking place. I got to the Youth Hostel at Haworth at 5pm. You meet some very interesting people at Youth Hostels. I was there four nights, and one of my room mates was a lady in her sixties who was walking from Edinburgh to Manchester. Another was a young lady from Tiawan, on her way to Newcastle University to start her course. Then there was the couple from New Zealand who were touring the UK for five weeks, their daughter, who now lives in the UK was also staying there with her friends. Another lady I got chatting to was in her seventies and goes hosteling regularly, she loves it. I sat in the lounge on the Friday night, studying my maps and working out which footpaths I was going to follow, and got chatting to a friendly chappie. After an hour we were getting on great, so he asked me if he could come along on my walk the next day. I said yes, nice to have some company. It was a fantastic day, we ambled through Haworth main street, had a look at the church then set off. I did the map reading and oh dear, we got lost a couple of times. We had a bit of everything, tramping through fields, sloshing through boggy moors, scrambling up steep banks, climbing rocks, and marching along the road. I couldn't resist stopping at a lovely country pub and partaking of a half pint of Theakston's Old Peculiar, my favourite ale. We had such a laugh. The highlight was when we sat on a big rock on the top of Penistone Country Park, it had fantastic views. Suddenly overhead we looked up to see the Red Arrows passing, what a bonus. On the way back I needed to dive behind a bush, as you do, so my friend walked on. I noticed a lot of scraps of paper strewn about and saw that there was a letter and some membership cards. I was just thinking that some people are so inconsiderate littering the place up, when I noticed a handbag with most of it's contents still inside. I was shocked and wondered what had happened to the woman who owned it. I picked all the bits up and found a wallet with bank cards in it, and two cheque books. My friend came looking for me as I had been gone a long time. We decided to take it straight to the police station, but found it was locked, so I used the phone on the wall to talk to someone. It transpired that the bag had been reported stolen from a car, they said they would contact the owner and she would ring me to arrange to pick it up. I got a phone call half an hour later, the police said the lady was about to go on holiday and a police officer would collect it the following morning. I was relieved to hear that she hadn't been attacked, and pleased she was going to get her bag back, even though she had probably lost some cash and had cancelled her credit cards. Here are some pictures from our day out. The main street in Haworth. The steep cobbled street is lined with flower boxes at the front of each house. We had a look at Haworth Railway Station. We don't have time to travel on a train today. Haworth Church at the top of the main street. the Bronte's are buried in a vault inside the church, except for Anne who was buried at Scarborough. The Red Arrows have just flown over the top of Penistone Nature Park. On the Sunday I went back to Saltaire and picked up a free directory of all the houses which were open to the public. It's a bit like the Open Gardens idea when people invite everyone to come and have a look round, only this is to come in and view what crafty things they have made, or pictures they have painted. It seemed very cheeky to step into people's front rooms and have a nose around, but they were all very friendly and keen to talk about their craft projects. I had a look round the huge Mill built in 1851 by Sir Titus Salt, it stands near the the River Aire, hence the name Saltaire. He also built all the houses nearby for his workers, and the church, and nearby Roberts Park. The whole project took 25 years to build. The Mill now houses art galleries, shops, and restaurants, many of David Hockney's works are displayed there. I hadn't taken much notice of his creations before, but now I am well and truly hooked, the man is a genious. The former Congregational Church built by Sir Titus Salt. Typical narrow cobbled streets. Later in the afternoon I had a walk to the Shipley Glen Tramway, but unfortunately it was closed, so I carried on further up onto Baildon Moor, I just love spectacular views. The following day, Monday I had a full day's walking by myself, as my walking friend had gone home. I set off up the footpath from the Parsonage Museum, and headed towards the Bronte Waterfalls. Someone had mentioned that it was only a stream tumbling over some rocks, but I was determined to see it for myself. An hour and a half later I was there, it was a beautiful setting, massive rocks all around, steep sides reaching up to the sky. I sat for a while listening to the water trickling by. I carried on from here up to Top Withens, on the Penine Way, it's a farmhouse ruin on Haworth Moor thought to be one of the inspirations for Wuthering Heights. Blimey it was a long way, I seemed to be going forever. I was amazed to see a film crew when I got there, having their lunch in the ruin. On the way back I walked around Ponden Reservoir. Just when I think I should be starting to come back I think of a detour I can make to see something else. I looked at the map and decided to go to Oakworth and take a look at the railway station where they filmed The Railway Children. Oh boy, my feet are sore now, I must have walked about 13 miles, or possibly more, another mile and I can take these boots off. The sore feet only last a day or two though, can't wait to go out walking again. I've had them rolling in the aisles tonight, giggles, belly laughs, tears streaming down their faces, and hysterical side splitting laughter. My visit to the local heritage society was a barrel of fun, it is so much easier for me to tell my stories when they are enjoying my talk. There was about fifty people in the room, and they all went home in a merry mood. I started off with how I started the Lady Truckers Club, the events I organised for them, my radio and television appearances, the three times I went to the Women of the Year Luncheon at the Savoy Hotel and met royalty, and the publicity shots I did in France with Sir Alistair Morton in the dining car of the euro tunnel train. The whole night was hilarious, someone asked me where I come from because I sounded just like Pam Ayres without the poetry. I just tell it like it is, open my mouth and surprise myself sometimes with what comes out. Very reasonably priced as well, I have a bed in a dormitory and I shall be getting my own food. I am looking forward to exploring new territory, looks like there is a lot to see in the area, with some great walking. I'll catch up with you when I get back, hopefully with some great photo's. 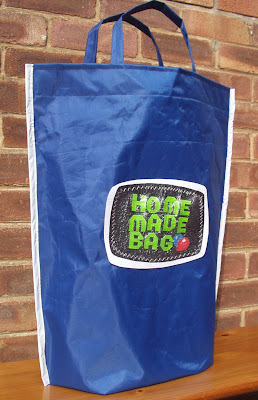 I have some coloured vinyl which I got from the Scrapstore and thought it would be interesting to see how easy or difficult it was to make a bag out of it. 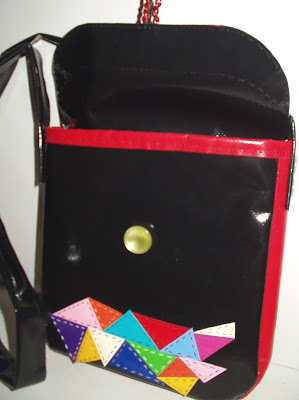 I like bold, contrasting colours so I chose black and red for the bag, and added random coloured triangles for the decoration on the front. 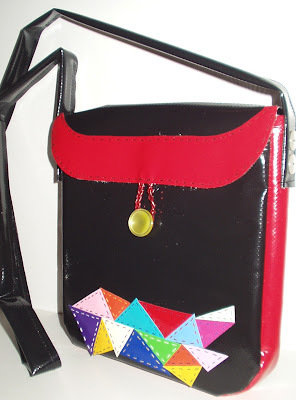 It's a shoulder bag, some of it is sewn with the machine, and some parts are hand sewn. The hardest part was sewing the gusset around the bottom corners of the front and back, as it was bulky and bunched up a bit. Pushing the needle through was not easy so the pliers were a help here. I have sewn through two buttons on each side to attach the strap. I didn't bother to line it because it would have been difficult to attach it to the edges of the bag. The fastening is red plaited elastic over a yellow button. It looks very eyecatching but I won't be using it because I have left it at the Scrapstore to illustrate my idea, maybe someone else will be inspired to have a go and make one. 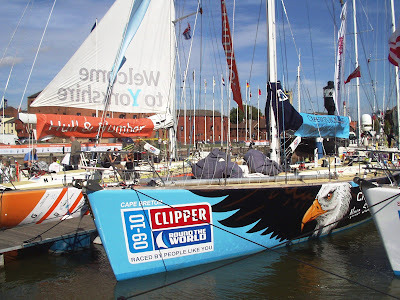 I went to have a look at the yachts in the round the world Clipper Race, (courtesy of my bus pass), they are at Hull Docks untill they set off on Sunday. I thought there would be lots and lots of them, but there was only ten, never mind, they looked very colourfull. It was difficult to get good photo's because with elf n safety gone mad, there were barriers to keep joe public at a distance. I think my next move is to update my camera. 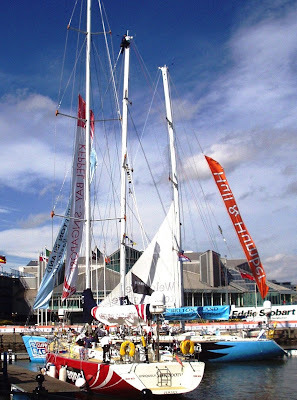 I wouldn't fancy sailing round the world, I can just see myself hanging over the side shouting 'are we there yet', ha ha, they are a brave lot. 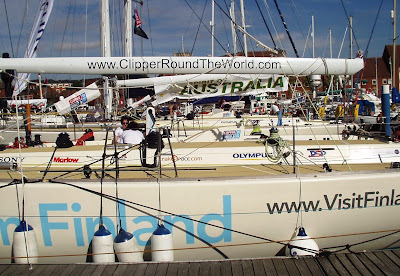 It was very blustery on land, just imagine what it would be like bobbing about on the waves. Yuk. 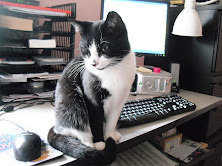 Hi everyone, sorry I have missed a few days, BUT, my broadband is not working, I am posting this from the library, a free half hour of course, ha ha. I am getting a bit fed up now, can anyone speak Indian? as I have been on the phone to them three times, and I haven't the foggiest what they are saying to me. It seems the broadband signal is not reaching my modem. I have a man coming to help me out on Tuesday night, he is a computer whiz, he sorted things out for me once before when I was riddled with viruses. 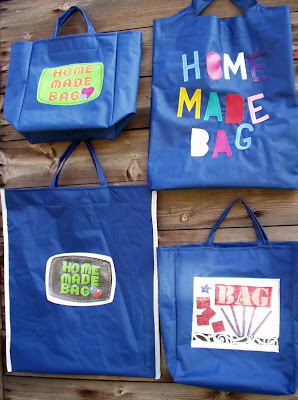 In the meantime, as I have a lot of time to spare, I have been making some more bags, can't wait to tell you about them and show you the piccies. So don't give up on me, I'll be back as soon as I can. See you later, off to get the bus back, on my free pass of course.